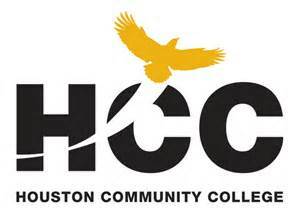 Houston Community College (HCC) is the fourth largest community college in the United States, with more than 80,000 students, faculty, and staff. The college also serves a significant external community, bringing the number of user accounts the school’s IT staff is responsible for managing up to 140,000. The eight person Central Systems Administration team at HCC was charged with building and managing an identity management infrastructure that would improve the digital experience for all users. Additionally, they found themselves consumed with a large number of manual, ad-hoc access requests that were extremely time consuming. As these requests accumulated, they prevented the team from focusing on larger, more strategic initiatives, such as building an identity management infrastructure. To build and manage an effective identity management solution, HCC knew they needed to assign each user a single ID that could be used to access all systems. The only way they could do that was by replacing their manual processes and scripts with a comprehensive, automated identity and access management (IAM) solution. HCC turned to Identity Automation’s full-featured IAM solution, RapidIdentity, which provided the college with the comprehensive, automated IAM solution it needed, while staying within HCC’s budget. Additionally, RapidIdentity’s Workflow Engine solved HCC’s ad-hoc access request problem. Its automation feature, essentially removed HCC’s Central Systems Administration team from managing those requests.